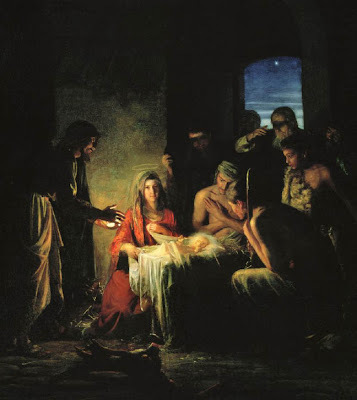 It's Christmas Eve day and so I thought I would post some of Carl Bloch's work. 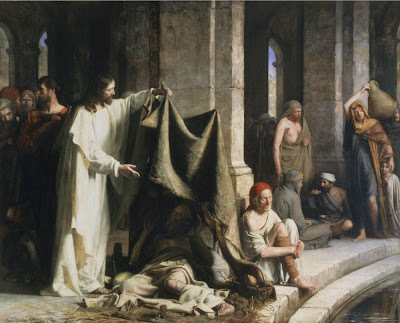 His religious genre of depicting the life of Christ is beautiful. I have seen the Healing at the Pool at Bethesda (in Utah) in person. At about 9 feet by 10 feet it is impressive. I believe there are about 25 such paintings around that size in a Denmark church. Scale, brushwork, color, content, complexity - Amazing! That's why I like it.